The Step Pyramid of Djoser is one of the most enigmatic structures built outside of the Giza Plateau, and many researchers firmly believed that this ancient monument was built by Pharaoh Djoser, a king of Egypt’s third dynasty, around 4,700 years ago. 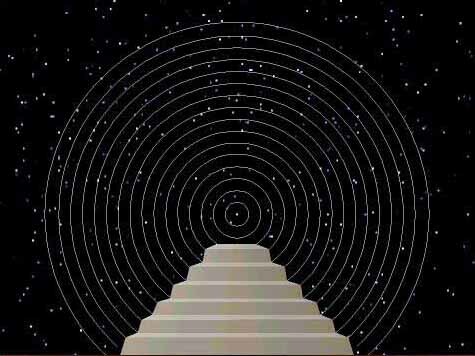 “The step pyramid is the only pyramid in the Old Kingdom that 11 of the king’s daughters were buried inside,” said Egyptologist Zahi Hawass, former minister of state for antiquities. Many archaeologists firmly believe that the construction of the Pyramid of Djoser marked the beginning of a Pyramid-building era in ancient Egypt. The Step Pyramid of Djoser is located at the Saqqara necropolis located northwest of Memphis and was built 4700 years ago. The structure was built for the burial of Pharaoh Djoser and was planned by Imhotep, an ancient Egyptian vizier who later became deified for his incredible accomplishments. The Pyramid of Djoser was initially a mastaba tomb, a flat-roofed monument with sloping sides. Through a series of later expansions, the structure evolved into a 62-meter high Pyramid with six layers built on top of each other. The ‘first’ pyramid of the ancient Egyptians was built with a staggering 11.6 million cubic feet of stone and clay. The Step Pyramid of Djoser offers some intricate stonework. Interestingly, there are drilling holesseen at the complex which strongly resemble similar markings found in Puma Punku and other ancient sites in South and Central America. 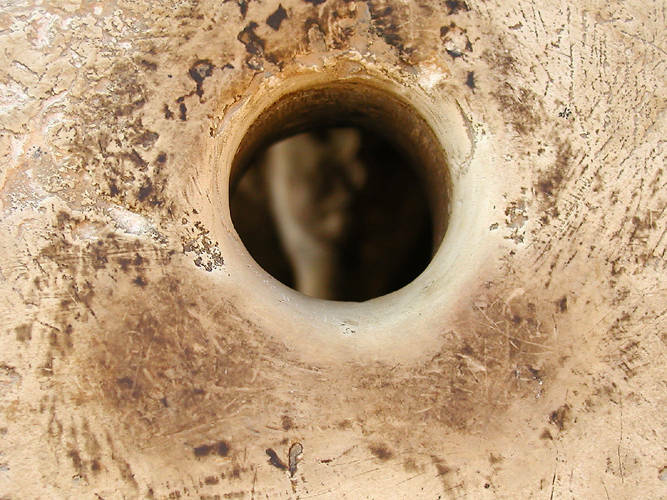 The mysterious drilling holes at the Step Pyramid complex are referred to commonly as ‘peepholes’. These enabled offerings to be made to the Statue of Djoser which is inside. What many people don’t know is the fact that there are tunnels beneath the pyramid stretching across a labyrinth of 5.5 kilometers in length. The labyrinth of tunneled chambers beneath the pyramids connects to a central shaft 7m square and 28 meters deep. At its bottom, contains the burial chamber of king Djoser. Archaeologists have discovered on the east side of the step pyramid eleven shafts 32 meters in depth were constructed and annexed to horizontal tunnels. One of the most enigmatic findings is located at the other end of the complex where archaeologists discovered the ‘south tomb’ with a chapel. It contains numerous tunnels mimicking those found beneath the pyramid. What was buried there remains a profound mystery that researchers have not been able to answer. Many archaeologists considered the Pyramid of Djoser as the earliest large-scale cut stone construction. However, many researchers believe that half way around the world in Caral, south America, the ancient complex of Caral and its majestic pyramids could predate the Pyramid of Djoser. Due to the fragile state in which the Pyramid is in today, researchers estimate that without conservation works, the tunnels and chambers located beneath the pyramid could easily collapse and the structure could disappear in a matter of decades. Previous Post Lisa Frank Tarot Cards Are Here!